A heartfelt THANKS to Grace Modica & everyone at Central Montessori Schools in Encinitas...I had the pleasure of meeting them & their adorable little students during my "Breakfast With You From SDCCU" office visit this week. I took them breakfast burritos from Qdoba, orange juice & prizes from SDCCU.com. Keep scrolling down to check out the video & photos from my visit. 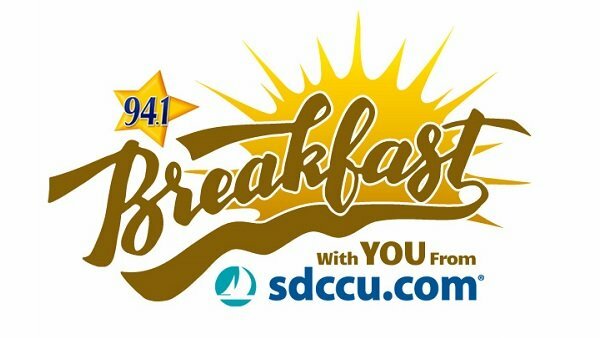 If you'd like me to visit you & your co-workers for "Breakfast With You From SDCCU," ENTER HERE or at the link below. Thanks to our friends at San Diego County Credit Union for sponsoring my office visits...It's not big bank banking, it's better!